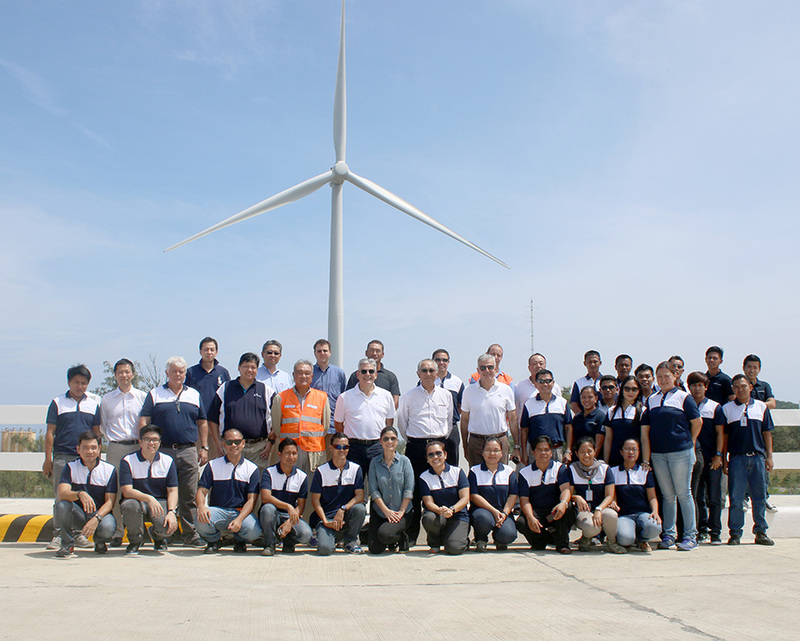 On September 29, 2015 – Ayala and Mitsubishi visited the wind farm of North Luzon Renewable in Pagudpud, Ilocos Norte. The wind farm tour was attended by key executives led by Ayala Corp. Chairman and CEO Jaime Augusto Zobel de Ayala and President and COO Fernando Zobel de Ayala, together with Mitsubishi Corp. Toru Moriyama, Executive Vice President and Regional CEO and Manila Branch General Manager Yoshio Amano. Mitsubishi Corporation’s wholly-owned subsidiary DGA NLREC B.V. bought into Luzon Wind Energy Holdings B.V. (“Luzon Wind”) last September 2, 2015. Luzon Wind owns part of Ayala Corporation’s stake in North Luzon Renewable Energy Corp. (“NLREC”). After the sale of Luzon Wind, AC Energy Holdings, Inc. still remains the largest shareholder of NLREC with an economic stake of approximately 36%. Ayala Corporation and Mitsubishi Corporation have been partners since 1974.